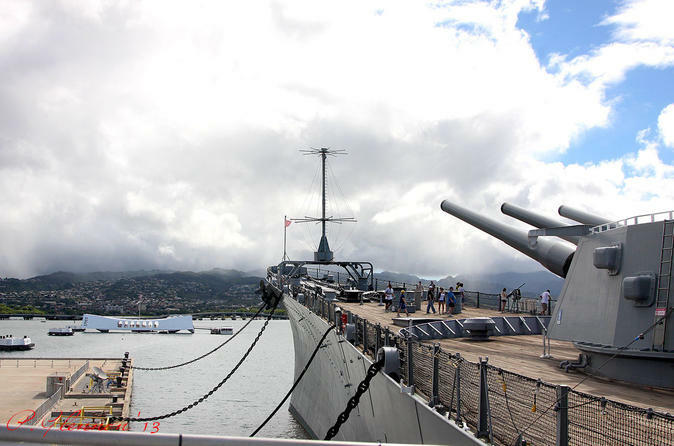 Steep yourself in the history of Pearl Harbor and get a vivid picture of the December 1941 Japanese attack on this 6-hour tour that also includes a ride around a downtown Honolulu to see the main landmarks and sites. Begin your VIP tour by getting picked up at your hotel. Then wander around the USS Arizona Memorial and the USS Missouri, getting a vivid picture of the attack on Pearl Harbor. Later, hop back in the comfortable car and head to downtown Honolulu for a tour of the sites, including King Kamehameha statue and the State Capital. After getting picked up by your chauffeur at your Waikiki accommodation, enjoy a refreshing beverage on your way to Pearl Harbor. Once there, get a brief orientation from the tour coordinator, receive your tickets and then head off to the sites. Spend some time on USS Arizona Memorial and the USS Missouri, learning about the history of the ships and getting a vivid picture of the December 1941 attack through stories and archived video footage. After the tour, hop back in the comfortable air-conditioned car and head to downtown Honolulu. See sites such the statue of King Kamehameha, the renowned Iolani Palace, the State Capital, and Washington Place before you are driven back to your original pick up location.